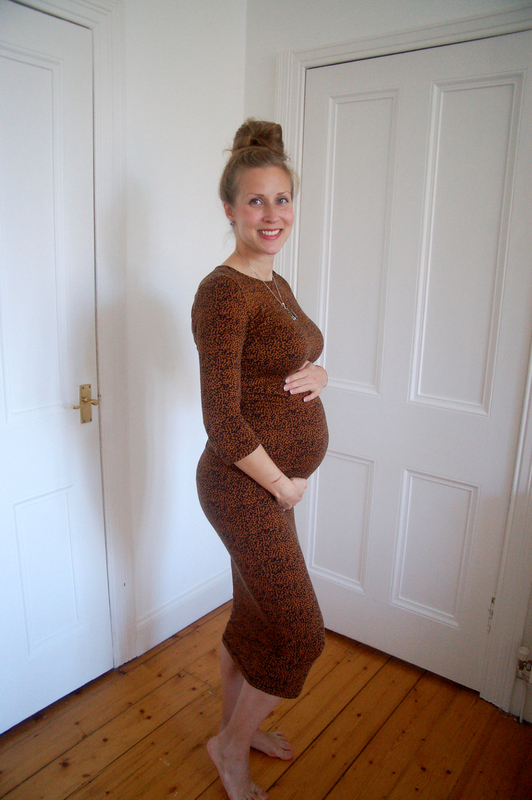 As my belly seems to be going through a real growth spurt I thought it would be time for some more photos to show you how big I am at 25 weeks right before entering the third trimester. 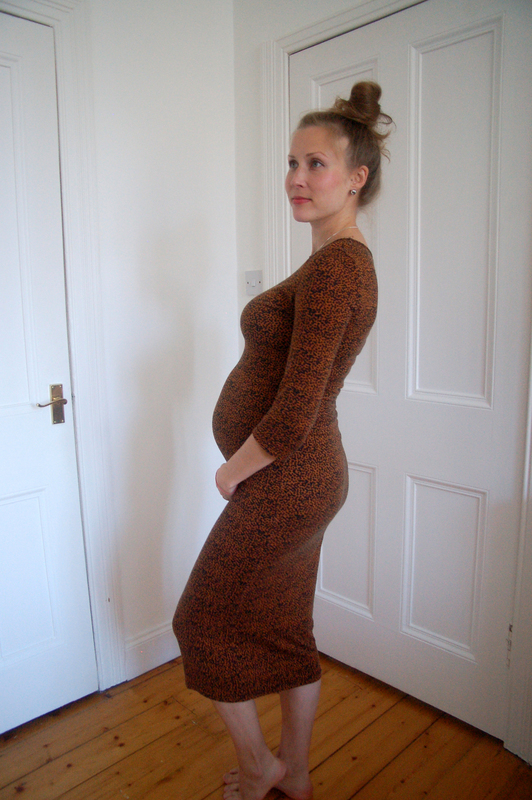 I decided to wear the same dress as in my last pregnancy photo post from 21 weeks to best show off the change. My waist is pretty much non-existent as the belly has spread to the sides like a true girl-belly is supposed to – at least I think it has! I’ve put on weight mostly around my middle, on the other hand it’s hard to tell as the rest of me might just look smaller when you compare to the belly 🙂 Some of these photos really make me cringe (I’m definitely not a natural in front of the camera), so try not to look at my face and concentrate on the belly instead! As it was my birthday yesterday I’m treating myself to an appointment at the hairdresser’s on Friday and in the evening we’re having dinner at an Italian restaurant that I’ve heard has the best Tiramisu in town, can’t wait! Hope you’re all having a wonderful week!